So I got a Ninebot Mini from eBay, it took 6 weeks to arrive and I've had it for about a week. I've had a Ninebot One E+ for about four months and I commute on it to work daily, I decided to add the Mini to my collection so that I could have something that my husband and friends can ride along with me without having to spend three days learning to ride an EUC competently. This is the Xiaomi model designed for the Chinese market so it's not as powerful or fast as the Mini Pro or my One E+ but it was significantly cheaper than buying the other two options for something I expected to be a very minor part time rider. I bought the black version. I don't think you can really make a Segway type device that doesn't look a bit strange, but I think the small size and black color minify the strangeness of the shape of a device like this. It also pretty much disappears beneath you when you ride it in the dark. There are several cheesy animations that you can have the rear lights make when it's not displaying the turn signals or brake lights, but I chose to turn those off because I didn't think they looked very good. I have been leaving my NBO behind when commuting to work this week in an effort to get a feel for the Mini. At first I found the knee bar to be less maneuverable than the lean turning of my NBO but once I got the feel for how this device controls I have come to enjoy it nearly as much. The two wheels of the NBM are smaller than the NBO so you notice bumps a bit more and I found it's best to slow down a bit more for bumps than I would on the NBO. I didn't take it off of paved paths very much but I don't think it would handle large off road bumps nearly as well as a NBO, but I think that has more to do with the lack of power. I think the Pro version of the NBM might actually be pretty decent on dirt or grass paths but you'd have to take it pretty slowly on the non-Pro version that I have. The motors in the NBM are extremely smooth and quiet, even quieter than the motor in the NBO. I've also noticed that the NBM takes even less effort to ride and is actually quite a bit less fatiguing after a very long ride. I rode 12 miles in one stretch one day this week and I could have kept going with no problem, I've ridden that distance in one stretch many times on my NBO and while it's not unbearable my feet are definitely sore and my leg muscles fatigued at the end. I think the easy ride is due to the fact that you don't have to balance it side to side and because there is thick cushioning foam on the foot rests. I also have come to really enjoy being able to stop without stepping off, it's a small thing but it adds up along with the rest to make a ride on the NBM very easy and relaxing unlike the more fun and exciting ride of the NBO. I am in love with the features on this Ninebot. 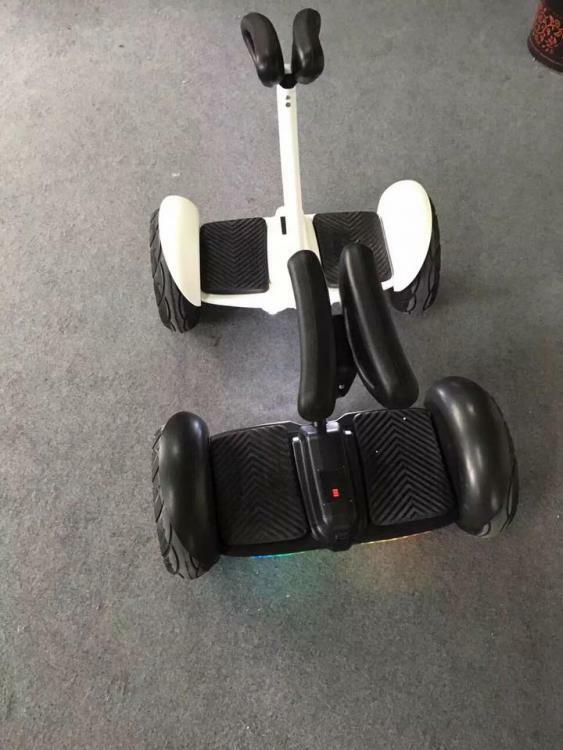 It has the typical Segway foot placement sensors so that it knows when you're standing on it but it doesn't end there. There is a sensor to know when you lift it off the ground so that the wheels don't simply spin freely. The lift sensor is extremely responsive and reliable, I have tried to trick it and it always balances perfectly the moment I place it down without the wheels spinning when I lift it. I would love to have this sensor on the NBO. There is also a surprisingly bright built-in headlight with an ambient brightness sensor to turn it on and off automatically. In daylight it stays off, in a dim area it will turn on low but bright enough to make sure you're easily seen, and in full darkness it will shine brightly enough to ride close to its top speed safely. The front of the NBM has a large and bright battery indicator which has proven very convenient, you can just look down and see easily how much battery life you have left. The build quality of the NBM has been a pleasant surprise for me (setting aside an issue I will discuss later). The plastic is very good quality with a matte finish on my black model and the steering stick is metal. The handle/pads one uses to pick it up don't seem particularly sturdy though so I will be careful to always pick it up by both pads to distribute the weight easily. In addition to being loaded with convenient features, the easy ride of the NBM is making it into a very tempting daily driver option. The only big problem keeping it from becoming my daily driver (other than the issue I'll talk about below) is the lack of a good handle on the non-Pro version that I have. When entering a building I like to push my transporter around out of politeness to those around me and with the NBM model that I have just picking it up and carrying it is the best option and the pad/handles don't seem like they will stand up to a lot of picking up over the long term. I am seriously considering buying a Mini Pro once the Segway store in my city gets them in stock so I could get a device with the power of my NBO but the features of the NBM plus a convenient push handle. After investigating this seems to be an issue with a bearing in the right wheel. I have been going back and forth with the seller I bought it from on eBay and so far it sounds like he might send me a replacement although unfortunately it's probably going to be the white model which I don't think looks as good. I am convinced that for the average person this is probably a better option than an EUC and while I absolutely love my NBO and have convinced some friends to buy them as well, I find myself wishing I had another NBM when I lend it to a friend for a ride. If you're curious about something that offers a different ride compared to an EUC I would definitely recommend a Ninebot Mini and I think it's a far more practical buy than a full sized Segway or a toy-like hoverboard. I really hope I can get the issue with my unit resolved and though I'm bummed I might end up with a color I don't like, I'm anxious to get riding on a Mini again. Hey. Thx for sharing, super interesting review. When i saw how cheap the NBM I reconsidered buying a UCW. Im still doubting. Would you say the NBM is more comfortable for medium or longish journeys around the city? ( +4 miles)?? I gues a con for the NBM is that it is less easy to carry around ( eg. Upstairs) than a UC. Would you give up your NB1 for the NBM??? So to answer this question depends on what you want out of your personal transporter. The NB1 is very fun to ride and if you're looking for something that you will also use a significant amount of time for recreation or off road then I would say definitely get the NB1. If you're mostly looking for something that will be used for serious transportation needs then it's a bit more difficult to answer, they can both get the job done but I'd have to say I give the edge to the NBM based on its newer technology and easier ride. To answer your question on comfort, others may feel differently but I think the NBM was a good deal more comfortable on a long journey than my NB1. Once a week I make a 10-12 mile round trip on my NB1 and I definitely found it noticeably more comfortable on the NBM than I am used to with my NB1. For shorter trips and even up to 4-5 miles that difference is going to be negligible though and they both do give me a bit of sore feet and thighs no matter what after a long trip. The NBM is definitely less easy to carry around than pushing a NB1 with a trolley handle which is my daily driver but if you get the NBM Pro then you'll get a built in trolley handle which would put them on even footing. Carrying a non-pro NBM by its knee pads is definitely more cumbersome than carrying a NB1 by its pop up handle. The remote control feature of the NBM does not work well enough to just drive it around in front of you instead of pushing it. If I had to only keep one of the two it would be a tough choice because I take my NB1 riding on dirt trails and I definitely don't think the NBM could keep up but if I could only keep one I would probably choose the NBM because my transporter is first and foremost a mode of daily transportation which is where the NBM excels. That's not to say I wouldn't miss my NB1 quite a bit though. Another thing to keep in mind if you're debating on which to buy as your first purchase is how much you care about what others think of your ride. There are very few people riding these devices around my city (and most cities) and while I always get very positive responses to the NB1 I have gotten some heckling because of the NBM. People don't like Segways or hoverboards and this is a product that reminds people of both. The NB1 on the other hand is so unique that people don't have their mind made up about them before they even see it. Omg i think you just made it harder for me lol i want both!!! . I do think that the NBM is safer for the average person, but a skilled rider on an EUC can certainly maneuver as safely as someone riding a NBM. If you're looking at getting your first EUC then there is a significant ramp up of a few days or weeks before you will have the skill to ride it on public sidewalks or streets safely, that ramp is much shorter with a NBM to get an equal level of safe maneuvering ability. Both the NB1 and NBM will limit the top speed to a crawl and tilt the foot platforms back sharply when the battery is very low, it's better to get off and push or carry when it gets to that point so it is just best to avoid it and plan your trips accordingly. Neither offers much in the way of redundant safety features so in my opinion safety gear is a must with these products, that said in my experience a known reliable Ninebot can be trusted not to cut out on you if you pay attention to the high speed warnings and don't try to push the limits. So an update on the issue with my Mini's squeaky wheel: I have arranged a return to the eBay seller and I have preordered a Ninebot Mini Pro from my local Segway store after finding out that they are going to be getting them this spring. I'm actually going to end up getting the better version for less money than I spent on the Xiaomi version originally, though I'll probably be waiting a few months. 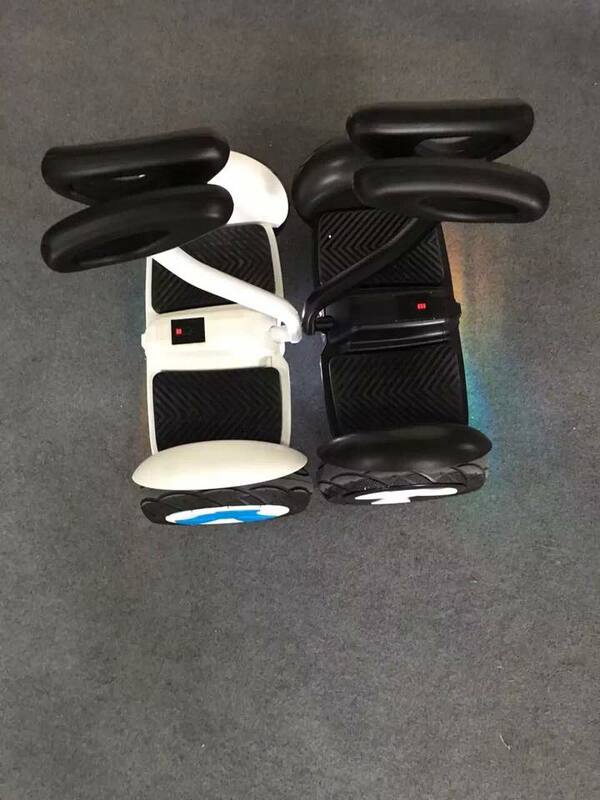 At the time of this post the Ninebot Mini Pro and Segway Robot are going for $500 and $750 preordered respectively which is crazy awesome pricing. I would expect it to be too good to be true except that this Segway store has a very good reputation in my city so I think they will honor their prices. I don't know what the MSRP will be for the Segway Robot will be but the owner of the store and I have been going back and forth in email and he said the Ninebot Mini Pro will have an MSRP of $1300 so the preorder discount is pretty steep! I am considering preordering a Segway Robot but I get the feeling it will be delayed endlessly and end up being a frustrating purchase because of that so I'll wait and see how they do once they're on the market for real. At these prices though I almost want to throw in a second Mini Pro just to have! That is only a deposit of $500. I did the preorder, called the company, and they informed me they don't have a final cost yet, but it's definitely not $500. I got a refund. Good to know, I was mislead by the salesperson who in their email to me said "Right now you can pre-order the Ninebot MiniPro through our webstore and we estimate that they'll be here in the Spring. They're priced at $500. You would be first in line"
I'm going to reach out to them to confirm and possibly get a refund as well because I'm not sure the MiniPro is worth $1300 to me. I didn't find such option there. 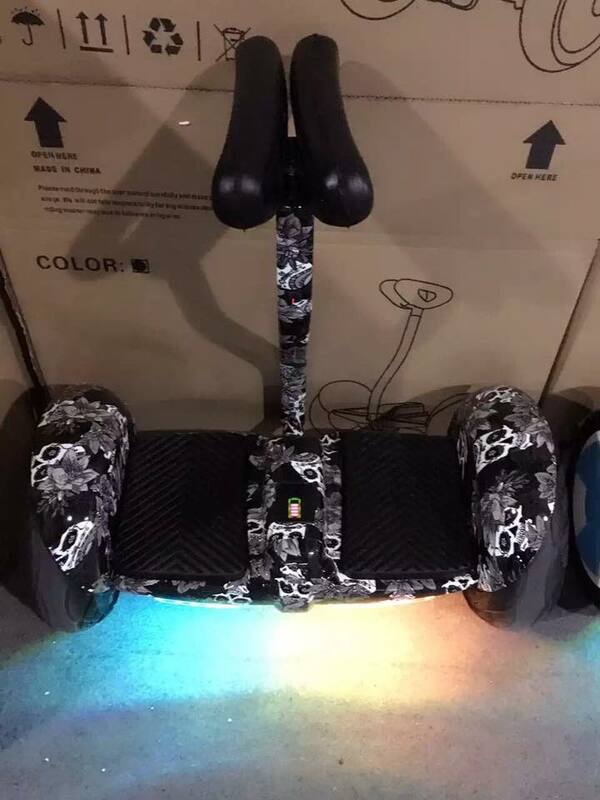 It's a safety feature, I don't think there is an option to disable it on any Ninebot. When it starts beeping it's because there is not much extra power available to keep you upright in the event that you hit a bump or a steep hill so you are risking a sudden shutoff that could hurt you. Riding at the beeping or tiltback speed isn't supposed to be comfortable because they are discouraging you from doing it, if you want a faster ride then you might want to get a Ninebot One. Thank you. It makes total sense. I am happy with my nbm pro and learning curve for nbo is a bit frustrating, so I pass. Awesome, glad you're enjoying it! 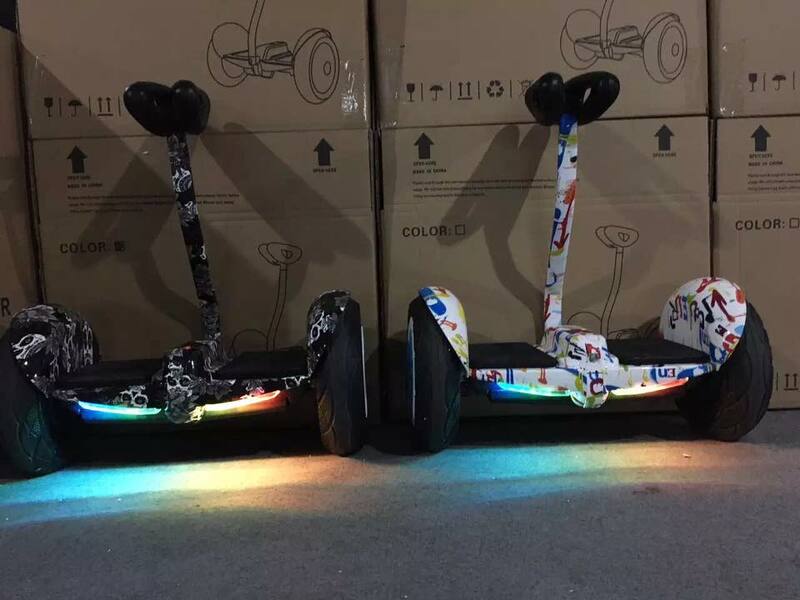 Seems like you're starting to get a feel for the limits of your device, the sensation of the platform tilting backward that you described is called "tiltback" and every EUC and Segway will do it, it's sort of a gentle warning that you're approaching the limits of your device before you get into the potentially dangerous speeds where it will start beeping at you. It's normal to still get beeps occasionally when riding at appropriate speeds because it's related to the load on the motor more than the actual speed you're traveling, if you're going relatively slow but hit a large bump or start going up a steep incline then you may find that you are pushing the motors to their limits even at a lower speed, that's when you will hear a beep without getting to max speed. None of these devices are built to be speed demons so you'll probably find that you will enjoy them the most when you relax and enjoy the ride as you said. The NBM Pro is a great device and I think it's currently the best personal transporter for general purpose commuting, enjoy those headlights and tail lights because they aren't a luxury you get built in with the NB1! Aaron Corsi - Thank you for this review. I just recently discovered the electric unicycle via youtube which led me to Ninebot then onto the mini [both of which led me to this forum]. I like the idea of the unicycle, but not sure the learning curve is worth the results for me. I'm really interested in the mini, and as of this last week, I've been trying to determine availability and costs (cheapest US Oklahoma + shipping). Seems that Amazon no longer lists the mini or the unicycle versions of Ninebot. I contacted a dealer in California to discuss some of the things about the mini vs mini pro and they were basically clueless. They did say that Segway was going through a reorganization of models, positioning marketing and prices. I find that Banggood has the mini listed for around $560, but based on your review not sure what all the differences between the models (I know the specs show different battery and motor power - but not sure how that translates into my potential use). I'm a bigger than average guy at 6'2 220 lbs and would not want to get a mini only to find that it screams "GET OFF!!". So I'm posting here to see if there is any further pricing or availability news as well as any other updated info others might want to provide. Thanks again for your informative review and responses. You definitely want to get the Mini Pro version with your size and weight, the cheaper Mini made for the Chinese market is made for people under 180lbs. Seriously consider the Ninebot One though, personally I think they are far more enjoyable to ride and you get a much more positive reaction from strangers who see you riding. The learning curve is worth it. 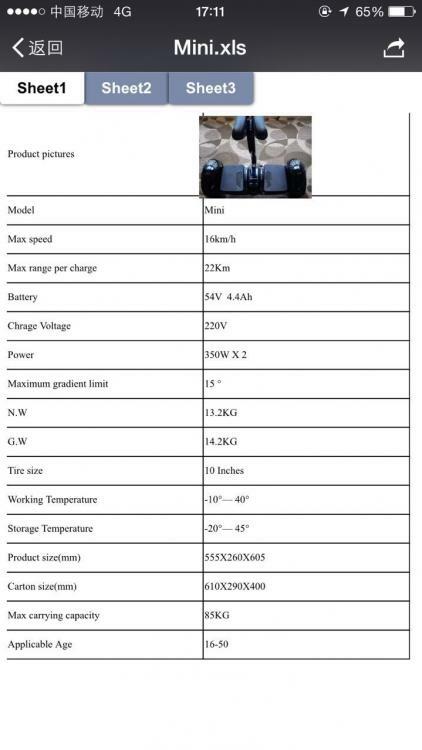 The difference is not all that great, asian model was supposed to only have 236 wh battery but I seen it being sold with 310 wh battery of the 'pro', watch out for that! Pro has (2x) 400 w motors vs (2x) 350 w motors, OK some what different, obviously you want 400 w, but how different is it? Then there is the removable and extendable control arm of the pro vs fixed arm, big difference, but is it worth $500-1500 more??? 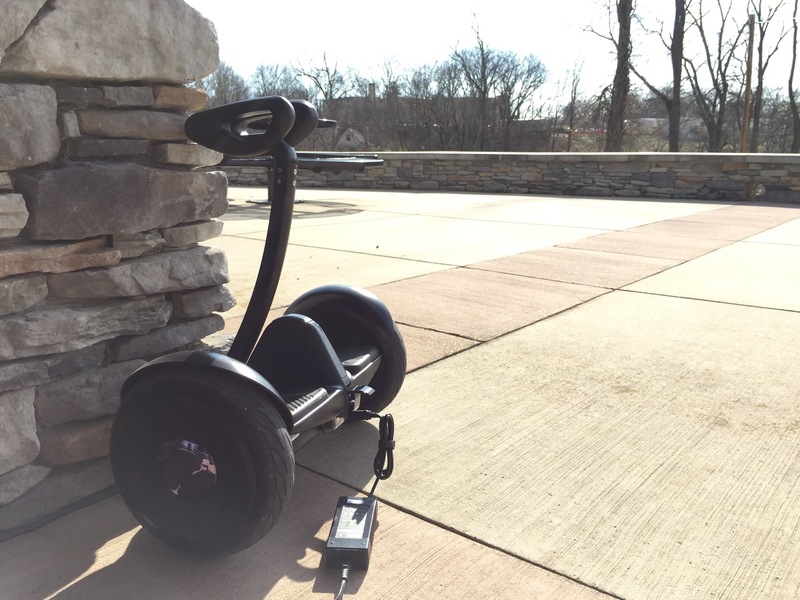 Ok I filled form on Segway site for dealer location and info, to see who actually is carrying what. Probably only the pro, but what price? The sales of the mini pro in conjunction with Ninebot's buy of Segway is beginning to feel like the marketing staff of Segway wants to muck with the price point so it doesn't make their product look so OVERPRICED.There may be additional testing and certifications required for valid US SALES through Segway dealers as opposed to 1 - 2 units exported in for sparse catalog sales - so I can see some premium in the price. 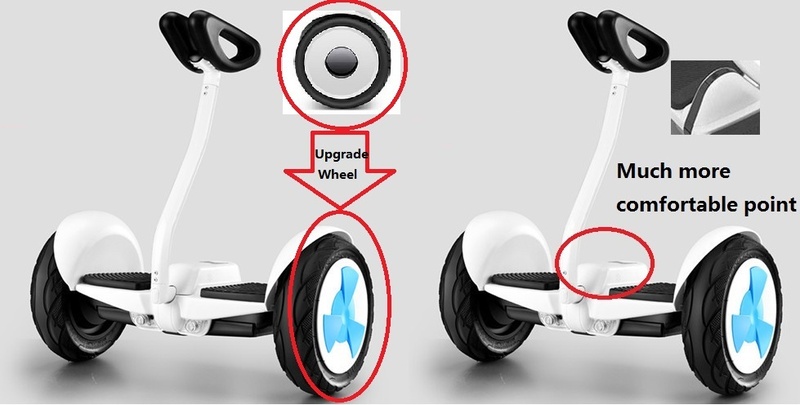 Given the price of the Ninebot e+ $950 - $1000 doesn't seem too out of line, but compared to the standard mini, just seems magic numbers from marketing/sales teams trying to squeeze $$$. Good to know about the telephone activation. I don't know why Segways should still cost that much ($6000). Now the sensors are cheaper by many folds...like $5 bucks instead of $500 in 2001. 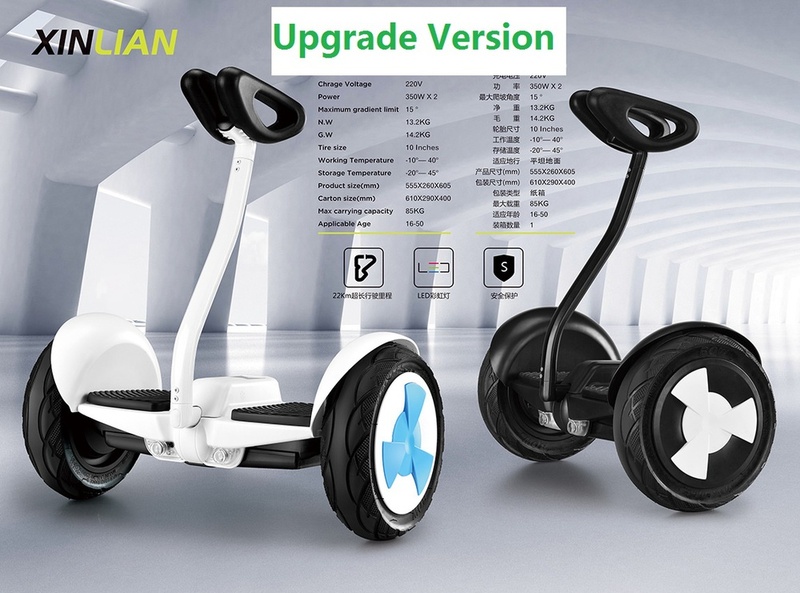 A robust real Segway ( not NB mini types) under $2000 is more affordable. We don't see many marketing dollars wasted on advertising it so where is all that $6000 going into? the Segway just Stopps in 10 seconds and gives Alarm! thats why it's so outstanding expensive....but also outstanding Safe! got some links to it?? ?